By Award Winning Seattle Scar Specialist Surgeon Dr. Philip Young MD. Discover Dr. Young's Theory on Facial Beauty that gives our Team an incredible advantage. You don't have to feel like people are always looking at your scars. 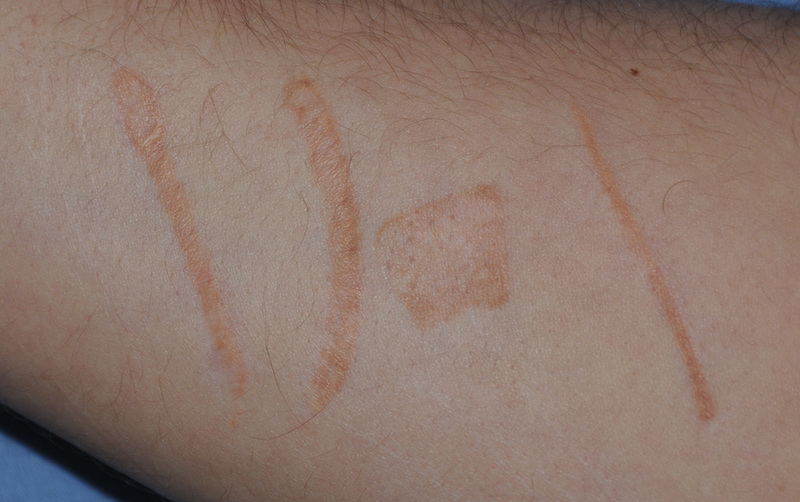 You can do something about your scars today through Scar Revision. Click here to see more videos with our Scar Revision Treatment YouTube Playlist! 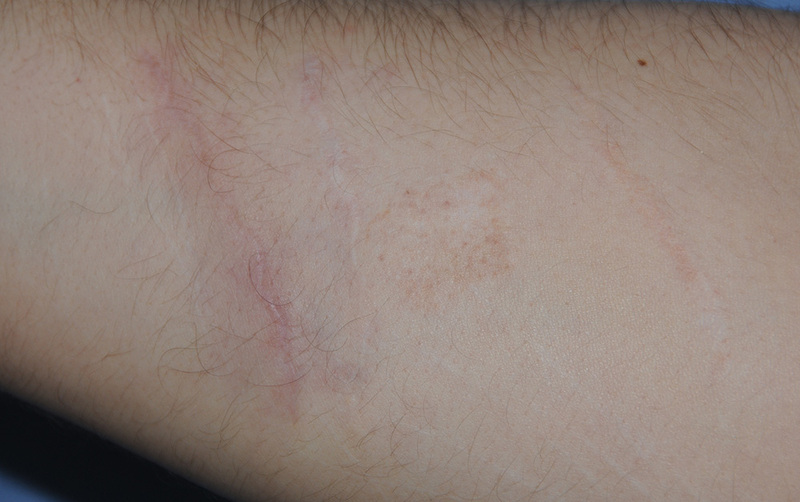 See more details about this case in our Self Harm Scar Revision Before After Page (Seattle, Bellevue). "Dear Dr. Young, So far, I can only say that I wish I had met you 10 years ago when I first had this accident. I have lost so much and you are slowly restoring that confidence and ease I had abour life. The scars are not perfect, but they are so much better than they have ever been and I want to say thank you." —A.C. 30's African American Female From Caribbeans. Award-winning, Published author and Seattle's Scar Revision Treatment Expert Dr. Philip Young has more than 15 years of experience in scar revision. He has extensive experience in the reconstruction | scar treatment for the head and neck area. His reconstructive background are found in his 4 year experience at a level 1 trauma center at Charity Hospital in New Orleans during Medical School; his 5 year experience in a level 1 trauma center in Los Angeles County Hospital with the University of Southern California; his 1 year experience in a level 2 trauma center at Santa Rosa Medical Center, and his Fellowship training with Dr. Frederick Stucker in Facial Plastic and Reconstructive Surgery at Louisiana State University Level 1 Trauma Center. Read more about Dr. Young and his Team here: Top Ten Reasons to choose Dr. Philip Young. Dr. Philip Young has become renowned as a leading Scar Revision | Scar Treatment surgeon. Although no scar can be removed completely, Dr. Young can improve the appearance of a scar, making it less obvious through either cO2 laser, Dermabrasion, Dermasanding, Excisions, Fat Grafting, Fillers, Intense Pulse Light, Steroid Medications, Tissue Rearrangement treatments or through other procedures. Find out why people from around the world including the Canada, China, Italy, Netherlands and Singapore are coming to have Our Team and Dr. Philip Young improve their scars. Learn about Acne Scar Vitalizer Treatment™ our new approach to Acne Scar Treatment that we think will revolutionize the way we treat Acne Scars! Here are some specific scar reduction | scar removal topics for you to learn more. Click each thumbnail to take you to the specific topic! This approach is vital in making many scars look better. 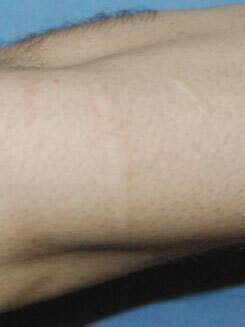 Usually the scars that find their way into our office are scars that have a noticeable pattern. Any straight line that is longer than 0.7cm will be seen as a pattern. The randomness of the geometric line pattern is what hides the scars better in addition to breaking up the possibilities of the contraction that can occur with a straight line scar. We will show you how we're going to pattern your scar revision. The other advantage that we think we have in scar revision treatment techniques is the use of special suturing that prevents the scar from widening and the type of closure that we do further helps. So these elements are going to be explained to you and how it will benefit your eventual scar appearance. After proper healing and as early as 4 to 8 weeks you can be eligible for laser resurfacing that can further improve your scar appearance. Just like it was done for the patient in the before and afters at the top of this page, we will do everything we can to reduce the appearance of your scar. After the geometric line closure, we then can do laser resurfacing along with other resurfacing techniques (dermabrasion, dermasanding) to further improve the appearance of your scar. The way that it does this is by causing the skin to randomly heal together and through this it can blend the scar that is at the superficial layer. There are many different ways to improve your scar through laser resurfacing using either traditional resurfacing methods, cutting the scar down to the level of the skin, or by trying to raise it up by causing the skin to build up. We will go over all the different techniques to show you how we are going to improve your scars. The Acne Scar Vitalizer Treatment is a procedure that was developed through greater than 12 years of clinical experience. 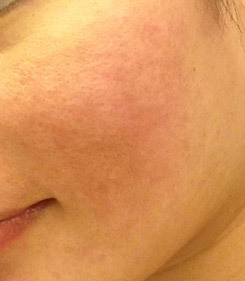 It is a process that uses five to seven steps to treat acne scars from multiple different levels. The central focus of the acne disease process is located in the hair follicle. Because the hair follicle extends deep into the layers of the epidermis, dermis and subcutaneous tissue acne can affect all layers of the skin. 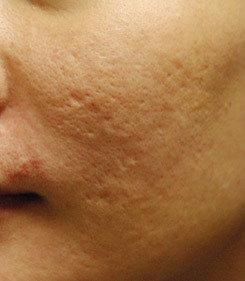 Utilizing only superficial techniques such as laser resurfacing will not treat all of the scars from acne. A multi-layered approach like the acne scar vitalizer treatment will get the best results. Through this technique we will treat each and every scar on your face to try to get the best results available today.